Pakistan Post issued over two dozen commemorative stamps during the almost ending year 2013. Most of the stamps related to the exclusive series of Men of Letters which honoured the writers and poets of Pakistan who have rendered valuable services for the development of Urdu language, literature and poetry. Beside, Pakistan Post also issued a number of commemorative stamps to honour heroes and celebrating centenaries of two prestigious educational institutions of Pakistan. 1. 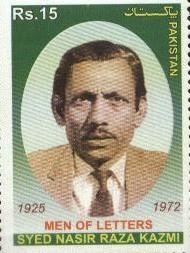 The first stamp of the year was issued on 2 March on the eve of death anniversary of famous Urdu language poet Syed Nasir Raza Kazmi. The Rs. 15 valued stamp carried the portrait of the poet in an oval frame in dominating green colour. 2. 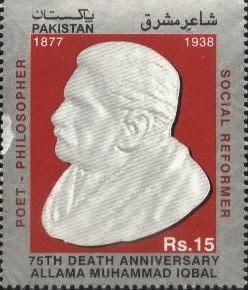 The second stamp of the year also pertained to the series of Men of Letters and issued on 23 March in respect of famous Urdu language writer Qudrat Ullah Shahab. He was an eminent Urdu writer and civil servant from Pakistan and is famous for his autobiography 'Shahab Nama.' This Rs. 15 valued stamp carried the portrait of the writer in an oval frame in dominating crimson colour. 3. The third stamp of the year was issued on 23 March in the honour of much less known man for his background - Allama Muhammad Asad. It would be unfair not to introduce the Allama and his long back ground and his contributions to literature and Islam. Muhammad Asad was born Leopold Weiss on 2 July 1900 and was an Austro-Hungarian born journalist, traveller, writer, linguist, thinker, political theorist, diplomat and Islamic scholar. After travelling across the Arab World as a journalist, he converted to Islam and chose for himself the Muslim name "Muhammad Asad"—Asad being the Arabic rendition of his root name Leo (Lion). During his stay in Saudi Arabia, he spent time with Bedouins and enjoyed close company of Ibn Saud—the founder of modern Saudi Arabia. He also carried out a secret mission for Ibn Saud to trace the sources of funding for Ikhwan Revolt. Due to these activities, he was dubbed in a Haaretz articles as "Leopold of Arabia"—hinting similarity of his activities to those of Lawrence of Arabia. On his visit to India, Asad became friends with Muslim poet-philosopher Muhammad Iqbal who persuaded him to abandon his eastward travels and "help elucidate the intellectual premises of the future Islamic state". On 14th August 1947, Asad got Pakistani citizenship and later served at several bureaucratic and diplomatic positions including the Director of Department of Islamic Reconstruction, Deputy Secretary (Middle East Division) in the Foreign Ministry of Pakistan and Pakistan's Envoy to the United Nations. In the West, Asad rose to prominence as a writer with his best-selling autobiography, The Road to Mecca. Later, after seventeen years of scholarly research, he published his magnum opus: The Message of the Qur'an—an English translation and commentary of the Quran. The book, along with the translations of Pickthall and Yusuf Ali, is regarded as one of the most influential translations of the modern era. In 2008, the entrance square to the UN Office in Vienna was named Muhammad Asad Platz in commemoration of his work as a "religious bridge-builder". Asad has been described by his biographers as "Europe's gift to Islam" and "A Mediator between Islam and the West"
4. The fourth stamp of the year of Rs. 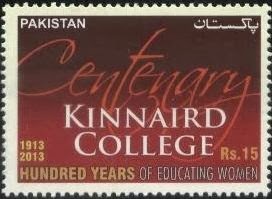 15 face value was issued on the eve of the centenary celebrations of the Kinnaird College for Women. The girls exclusive college located in Lahore, Punjab, Pakistan was founded by American missionaries under the British Raj, the school turned college is now a semi-government institute recognized by the Higher Education Commission of Pakistan and is one of the oldest institution for the education of girls in the region. 5. The fifth stamp of the year of Rs. 15 face value was issued on 21 April on the eve of the 75th death anniversary of Allama Muhammad Iqbal - the national poet of Pakistan, a philosopher, social reformer and a politician instrumental in dreaming for a separated Muslim country to be carved out of the British India. A dream which came true but about a decade later than his death in 1938. 6. 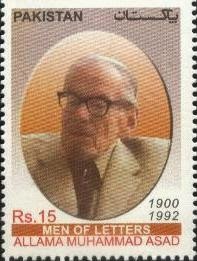 Continuing with the series of Men of Letter, the sixth stamp of the year of Rs. 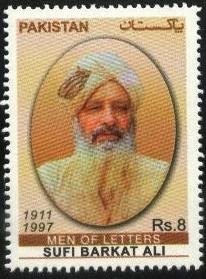 15 face value was issued on 27 April to commemorate the life of sufi saint Sufi Barkat Ali. 7. On the eve of the inauguration of Army Museum at Rawalpindi, Pakistan on 30 April a Rs. 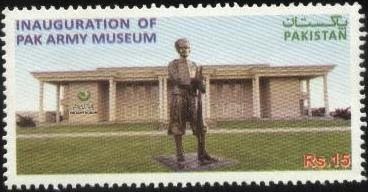 15 valued commemorative stamp was issued showing the Army Museum building in the background and a life sized bronze statue of Subedar Khuda Dad Khan who became the first South Asian as a 26 years old sepoy to be awarded the Victoria Cross during the WW-I for an act of gallantry on 31 October 1914, at Hollebeke, Belgium. 8. A set of three stamps to honour the recipients of Nishan-e-Haider and Hilal-i-Kashmir was issued by Pakistan post on 30 April 2013, each with a face value of Rs.8. 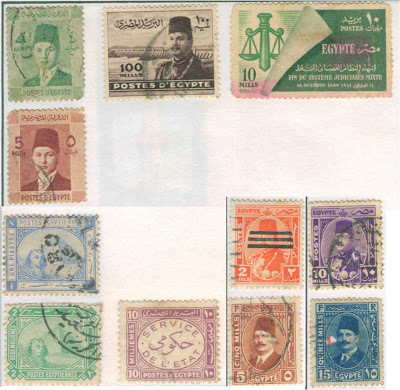 The stamps showed the portraits of the recipients along with their dates of birth and martyrdom. The stamps on the sides are Havildar Lalak Jan (left) and captain Kernal Sher Khan (right) who were awarded the highest military honour of Pakistan - the Nishan-e-Haider. The stamp in the centre shows portrait of Nail Saif Ullah Janjua who was awarded with the Hilal-i-Kashmir for his bravery during the Kashmir War of 1948. 9. 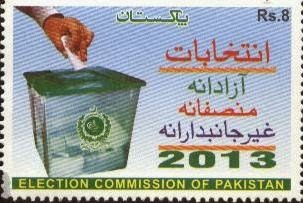 A Rs 8 commemorative stamp was issued on 11 May 2013 on the eve of general elections after a successful tenure of five years by an elected government. 10. 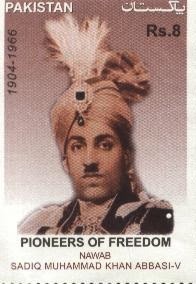 A Rs 8 commemorative stamp was issued by Pakistan Post on 24 May 2013 as part of the Pioneers of Freedom series in the honour of Nawab Sadiq Muhammad Khan Abbasi V, GCSI, GCIE, KCVO, LLD, Nishan-e-Quaid-e-Azam, who was the Nawab, and later Amir, of Bahawalpur State from 1907 to 1966 and played an important role in supporting the creation of Pakistan. The Nawab was born 29 September 1904, in the famous Derawar Fort and died 24 May 1966, in London. His death, ended his 59 years as Nawab and Ameer of Bahawalpur; his body was brought back to Bahawalpur and was buried in his family's ancestral graveyard at Derawer Fort. His eldest son Haji Muhammad Abbas Khan Abbasi Bahadur succeeded to his father's title of Nawab of Bahawalpur, but with no administrative power. His grandson Nawab Salah-ud-din Ahmed Abbasi currently holds the title of Nawab. 11. 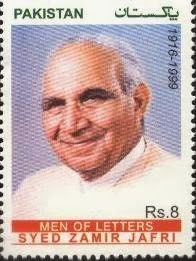 The eleventh stamp of the year waa part of the Men Letters series - honouring Syed Zamir Jafri, a hallmark in the development of Urdu language literature in Pakistan. 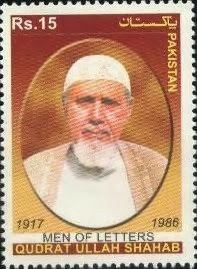 The Rs 8 commemorative stamp bearing portrait of Syed Zamir Jafri was issued by Pakistan Post on 29 May 2013. 12. 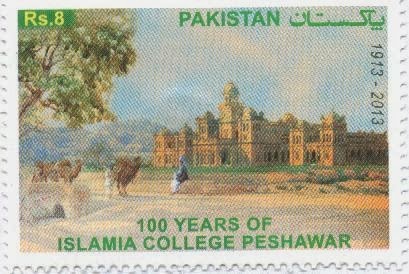 The twelfth stamp of the year was issued on the 100 Years of famous Islamia College of Peshawar. Islamia College is a renowned educational institution located in the city of Peshawar in the Khyber Pakhtunkhwa province of Pakistan. It was founded in October 1913 by regional leader Nawab Sir Sahibzada Abdul Qayyum and then Chief Commissioner of the province Sir George Roos-Keppel in an effort to provide quality education to the region's youth. The college has now been converted into a university. The Rs 8 commemorative stamp issued on 30 May 2013 shows the building of the Islamia College. Three Half Pence Australian Stamp -How much is it really?